Fantastic chair for the Star Wars fanatic. Comfortable and adjustable height for growing children. Does not roll easily on carpet, but rolls well on hardwood floors. Relatively easy assembly. 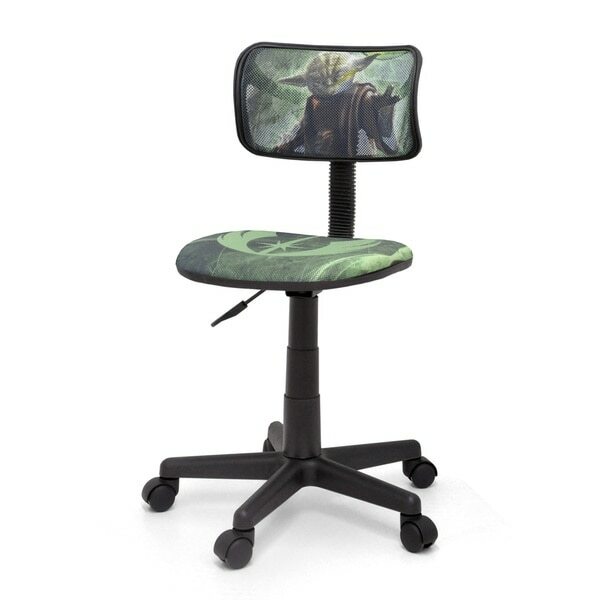 Provide ultra-comfortable seating while complementing your child's Star Wars-themed room with this Yoda task chair. The smooth-rolling wheels make this chair easy to move around, while the built-in lever lets you swiftly adjust the chair's height. Safavieh Galaxy Transitional Blue / Grey Rug - 5'-3" X 7'-6"